Answer: In commemorating our 20th anniversary this 2018, I thought I'd share with you the beginnings of Laoconnection.com. And it's a question that is asked quite often. It comes from very modest beginnings. Quite literally I came up with it in my bedroom. My computer was in my bedroom so I worked on it there. At the time, I came to the realization that I wanted to create my own site on Lao culture and to make it fun, useful, educational and visually appealing. In truth, those are tenets that I still keep in the back of my mind even to this day when working on the blog. My main goal at the time was that I wanted to contribute to the vast internet which I saw as a big database of information - that happened to lack information on Lao stuff. Unfortunately, at that point the websites that existed on the internet that related to Laos and Lao culture were not many. 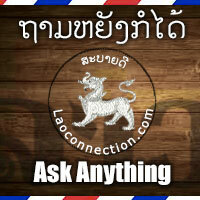 When I first started my website there were only a handful of other Lao related websites. If you're old enough to remember, try remembering how the internet was just two decades ago and what online resources existed to share information about Lao culture. I personally could count them on my fingers how many such websites and forums existed. And believe me I searched everywhere. This was when search engines like Yahoo, Excite, Lycos, Netscape, and AOL were big. And little Google was just starting out with its minimalist look. Here's a fun fact: Google started a month after I created, what I then called, The Laotian Connection Website, or LCW for short. Two years after establishing that, I eventually shortened it to Lao Connection and registered the .com domain name with that name. Many people may not remember the old site and perhaps only know of what the site is now - a blog. The current blog as you see it now was something I created in 2012 when I did away with the old website and essentially overhauled everything. New platform, format and content. It's currently hosted on Google's blogging platform called Blogger.